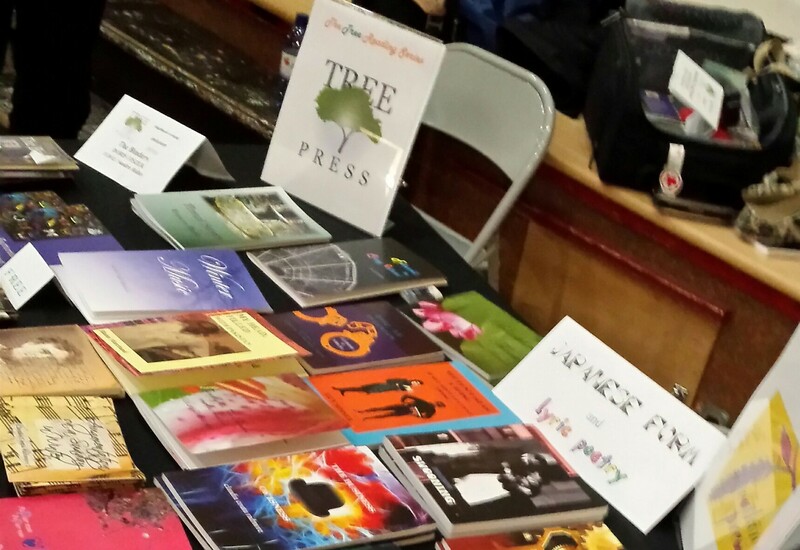 It was the first time Tree Press was specifically invited to this book fair. The occasion was that one of its publications, The Binders, written by Doris Fiszer of Ottawa, was shortlisted for the bpNichol Award. It didn’t win, but it was wonderful to be there with Doris and her husband Bruce Brockington. 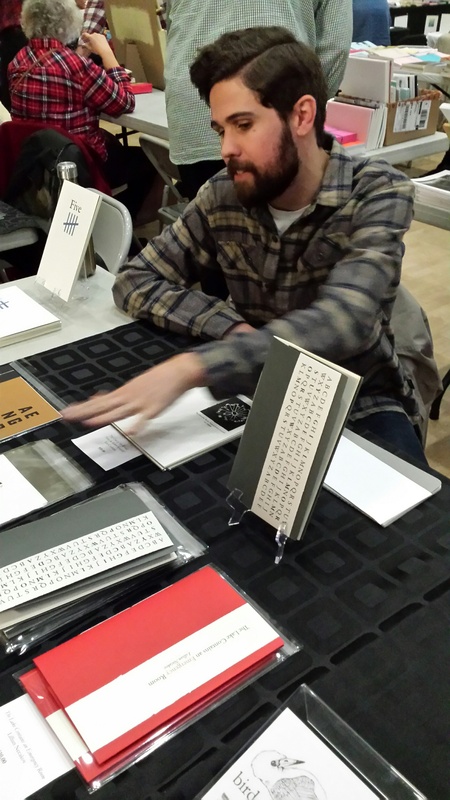 I should have a better photo of the table, which we also shared with another publisher. Here is Doris with Deb O’Rourke, who stopped to talk with Doris. Congratulations too, to Sonnet L’Abbé on winning the bpNichol Award. 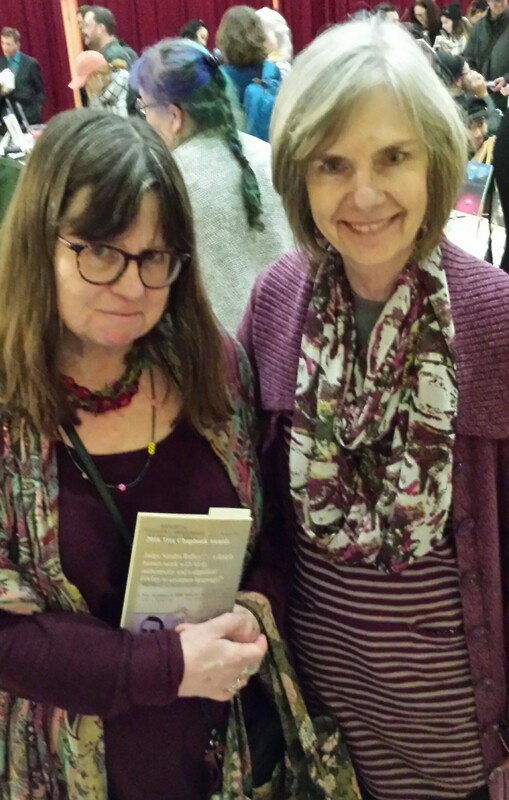 Her chapbook, Anima Canadensis, was published by Carleton Wilson’s Junction Books. 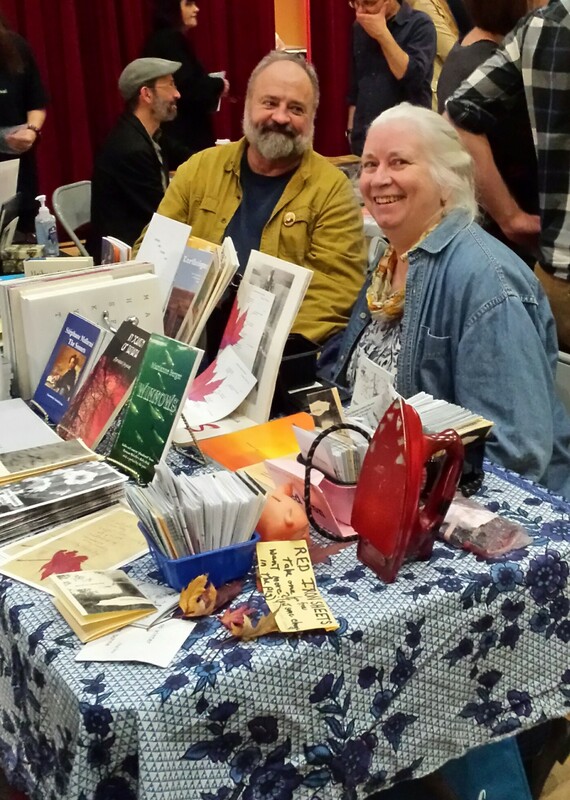 How great it was to share the table with Nightwood Editions and Junction Books, and just spend hours in the company of publishers and writers! And to be able to meet them and see their books. 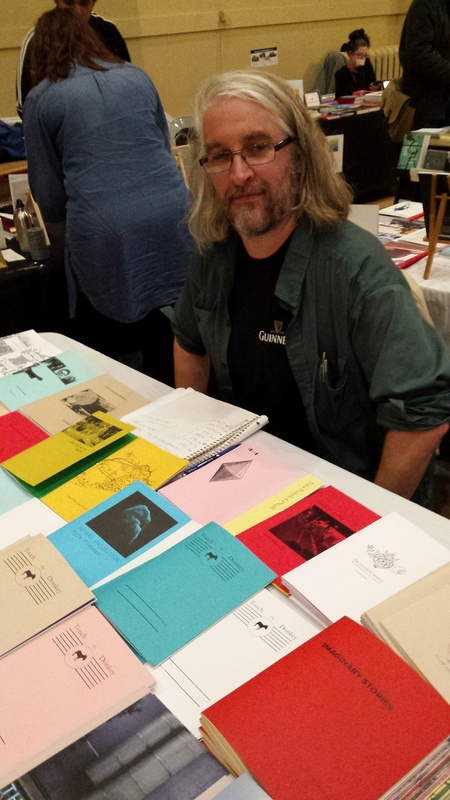 For many poets, the big trade presses seem scary, rather lofty, with similarly distant editors. When you meet these publishing people in the flesh, so to speak, watch them interacting with others, speak with them yourself, you find they are friendly, fun to talk with, open to questions, and just as ordinary as anyone else. and not above a little bit of the comic side of the moment. 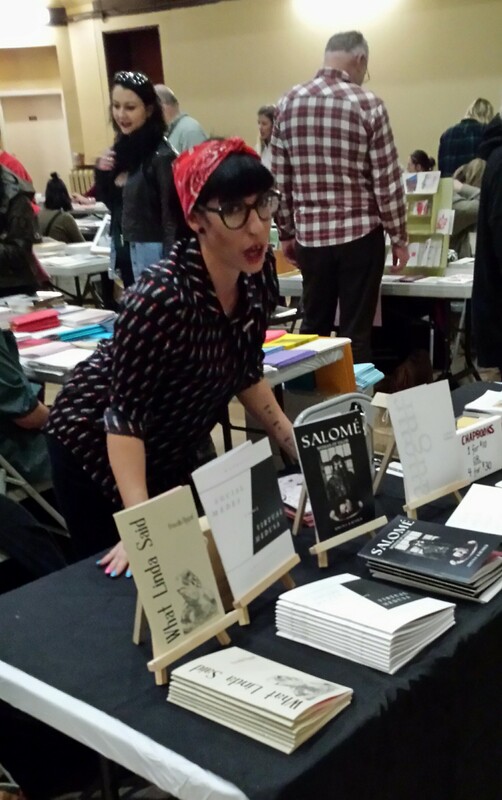 This is the GAP RIOT PRESS TABLE, with, Dani Spinosa, whose antics, as well as serious moments, I enjoyed muchly! and Cameron Anstee with Apt. 9 Press, in double modes of cheerful publisher and pensive publisher. 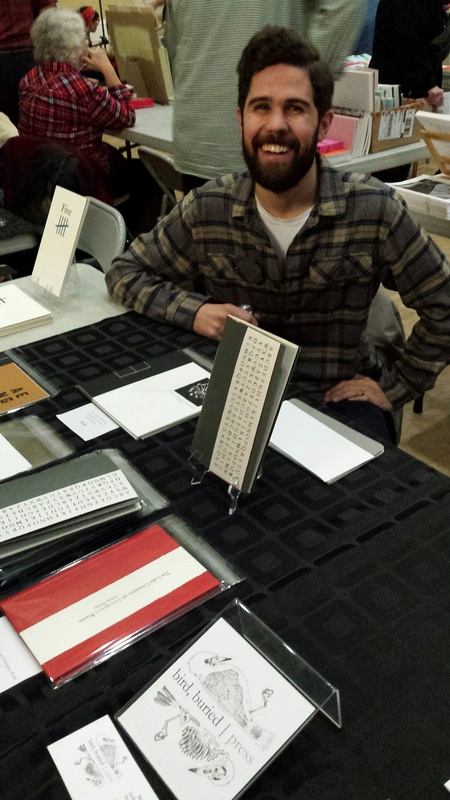 Imago and Red Iron Presses from Toronto, with publishers Marshall Hyrciuk and Karen Sohne, with many offerings. Haiku people will recognize them from Haiku Canada Weekends and Haiku North America, and for their renku presentations at Versefest a couple of years ago. Remember? Sake was served after link 6 of the renku, as per tradition. Perhaps the cause of that renku being continued in an Ottawa restaurant until the 36 verses were done. And so it was. 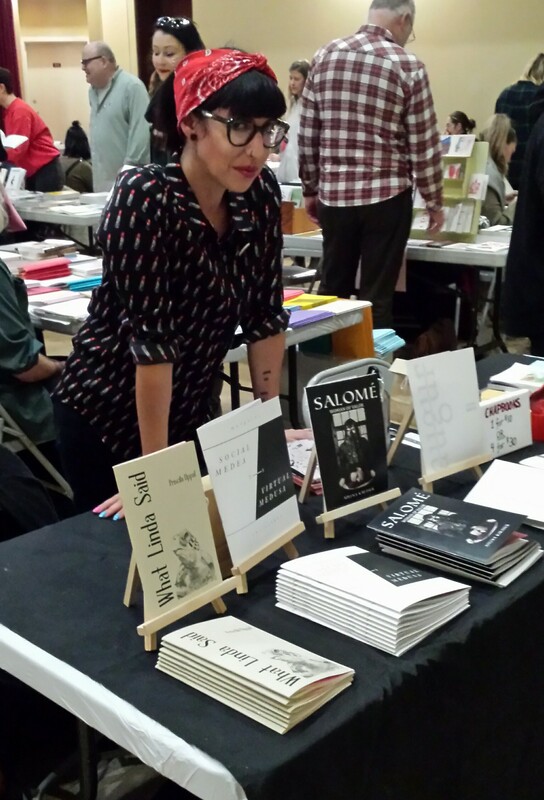 We’ll be seeing some of these presses next Saturday at Ottawa’s Small Press Book Fair. See you then! Ha! Thanks for this post, Claudia. So good to see my dear friend Deb O’Rourke out and about… I had heard she broke an ankle a couple of months ago. She’s such a bright lady. Yes, we had a lovely conversation about you and other friends here. Conversations were the best part of the day!